Tesla CEO Elon Musk has confirmed that the company’s customer referral program will be coming to an end on February 1st. After a near 4-year run, Tesla’s widely popular referral program, which turned existing customers into hungry sales machines that were fueled by the lure of winning anything from a $250,000 next-generation Roadster (or two), to the promise of sending a laser-etched photo into deep space aboard a SpaceX rocket, will be shutting its doors for good. While this isn’t the first, second, or third time that the California electric carmaker and its CEO has leveraged the referral program to instill FOMO and convert would-be buyers into customers before a seemingly moving deadline, Musk’s statement that “the whole referral incentive system will end” does sound definitive. place order by feb 1st or must take delivery? planning to order in the coming days. hoping it will be in my hands by the 1st by maybe not. 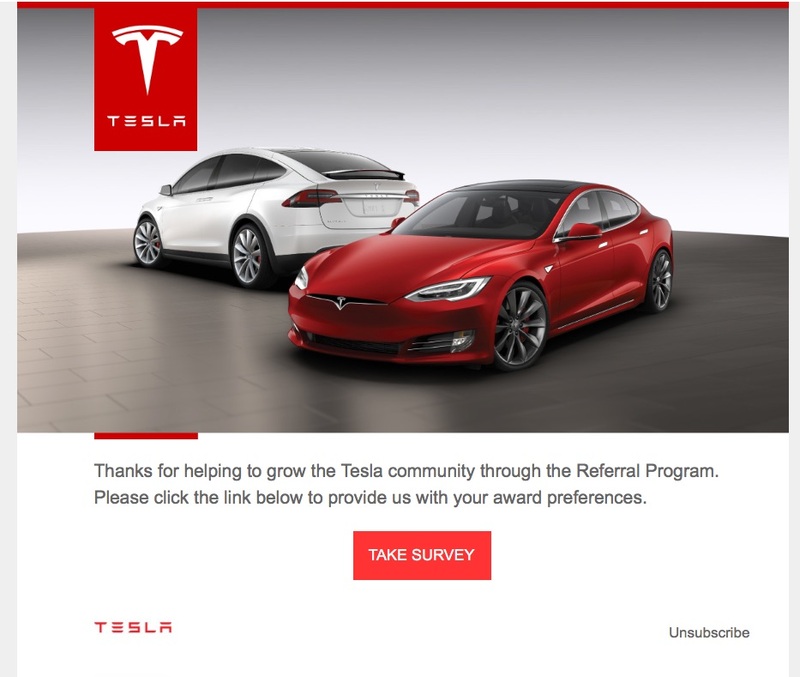 Existing Tesla customers that refer a friend to purchase a Model S, Model X, Model 3 vehicle, or a Tesla Solar Panel system, will have until the end of January 2019 to complete a referral sale. Buyers of a new Tesla will receive six months of Free Supercharging and an additional three months if taking delivery of the car without a test drive. Solar customers that make a purchase through a Tesla referral code will be given a 5-year extended warranty on their system. What started as a test program in July of 2015 for a young car company that was looking to stimulate cost-effective word-of-mouth sales, in lieu of establishing expensive brick and mortar stores, has become arguably one of Tesla’s most successful sales tools to date. “Word of mouth has always been a major part of how Tesla sales have grown. When I meet Tesla owners, one of the first things they often tell me is how they have convinced many others to buy the car. As you may already know, Tesla does not advertise or pay for endorsements or product placement. Maybe by doing so we could sell more cars, but I don’t like the idea of trying to trick people into buying a product by false association.” said Musk in an email sent to Model S customers in 2015. Inasmuch as the closing of the customer incentive program leaves a void to the hundreds of thousands that have grown accustomed to seeing, sharing or using a Tesla referral code, it’s the penning of a new chapter. One that continues the story of how one company accelerated the world’s transition to sustainable energy. For prosperity’s sake, here’s a look back at the email that started it all. Word of mouth has always been a major part of how Tesla sales have grown. When I meet Tesla owners, one of the first things they often tell me is how they have convinced many others to buy the car. As you may already know, Tesla does not advertise or pay for endorsements or product placement. Maybe by doing so we could sell more cars, but I don’t like the idea of trying to trick people into buying a product by false association. If you see somebody famous driving a Model S, it is because they genuinely like the car. If you see it in a movie or TV show, it is because the people associated with that production genuinely like the car. Besides word of mouth, another way that our cars are sold is through stores. These will always be important to allow people to check out new models and ask our product specialists detailed questions. However, stores are quite expensive to set up and operate. In reviewing the Tesla cost of sales, we found that it is approximately $2,000 to sell a car through our stores, higher in some regions and lower in others. From now through October 31st, if someone buys a new Model S through your link, they will get $1,000 off the purchase price and you will get a $1,000 credit in your Tesla account, which can be applied to a future car purchase, service charge or accessories. To put some limits on the experiment, each Tesla owner can grant a maximum of ten $1,000 discounts.